Jet Set Radio Grinding to XBLA! Not the ‘Future’…but this Retro is Set to Jet! The Sega Dreamcast produced many a beloved franchises in its short lifespan, but one of the most popular and influential franchises to be birthed from this time was Jet Set Radio (or rather Jet Grind Radio in North America). JSR was the first game to popularise (a popularise it did) the cell-shaded style. So many games came after to ape the style that was such a natural fit for this game. 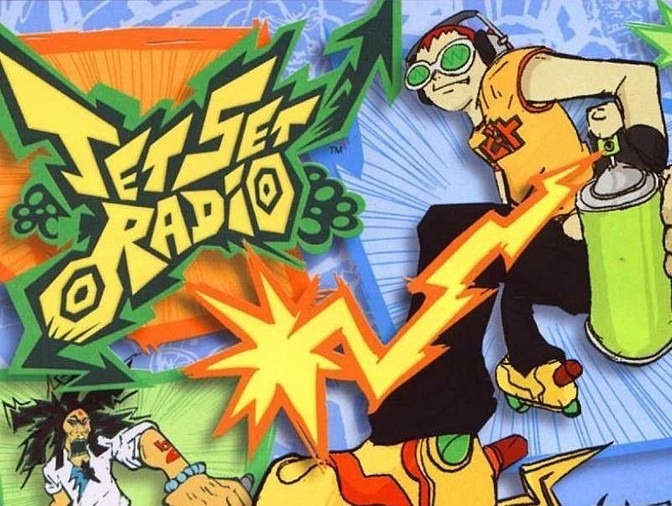 Jet Set Radio was Sega, and Japan’s, answer to the X-Game craze that exploded out of the late 90s and into the ne millennium. Where American entries in this genre focused on times tricks, times, and scores, JSR focused more on style and story. JSR was wildly popular and was one of the games that set the Dreamcast apart from the rest. I do still own my copy of Jet Set Radio. I even remember specifically buying it at an EB Games in Las Vegas the week I got married. I can still go and play it any time, so why so excited about the re-release?. What I like the most about these projects is that not only to graphics get some sharpening, I also get to use my modern controller as well as earn achievements. It has been a good long while since I seriously played JSR, but I think I am up for the challenge once again. My final wish for the game is that its quirky soundtrack makes it in tact! Another exciting prospect of this announcement is the potential re-release of Shenmue. A year or two ago some leaked images of an Xbox menu showed both Jet Set Radio and Shenmue. While this led to rampant speculation, nothing ever came from that image, until now. I am hoping that the next Sega shoe to drop is a Shenmue! While I wait for JSR’s re-release, I may delve into its sequel, Jet Set Radio Future on the Xbox which too is a fantastic game. It truly is time to Grind! This entry was posted in Action/Adventure, Dreamcast, Retro, Sega, Sports, XBLA. Bookmark the permalink.